J. Steven Lovejoy joined the Firm in 1996 and has been a shareholder since 1996. He is a member of the Firm’s Corporate and Financial Services Department. He is Partner-in-Charge of the Firm’s Maryland office. Mr. Lovejoy’s practice encompasses compliance, regulatory and transactional work for depository and non-depository companies providing financial services. Mr. Lovejoy has developed a widening practice representing large and small mortgage companies throughout the United States. He has performed in a case management role with the Firm’s litigation team handling the defense of complex “lender liability” cases, including multiparty mortgage fraud cases. Mr. Lovejoy often serves as an expert witness in mortgage-related cases in both federal and state courts throughout the region. He has represented financial services and banking interests in regard to “predatory” lending legislation pending before municipal and state legislative bodies in both Pennsylvania and Maryland. Mr. Lovejoy’s compliance practice frequently involves the interplay of state and federal lending laws and regulations. He assists clients with issues involving, among other things, the federal Truth-in-Lending Act, RESPA, Equal Credit Opportunity Act, Fair Credit Reporting Act, Home Mortgage Disclosure Act, state usury laws, state licensing and regulatory measures and the Uniform Commercial Code. He has also represented numerous insurance regulatees before the Maryland Insurance Administration. 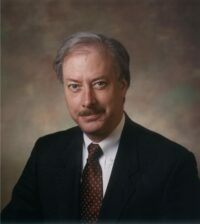 From 1986 to 1996, Mr. Lovejoy was counsel to, variously, the Maryland State Bank Commissioner, Commissioner of Consumer Credit, Maryland Division of Savings and Loan Associations, Maryland Collection Agency Licensing Board and the Maryland Deposit Insurance Fund. He was appointed Assistant Attorney General in 1986 as counsel to the thrift regulators. Mr. Lovejoy drafted all new regulations governing all aspects of operations for savings and loan institutions under new legislation enacted in 1985. In response to statutory sunset provisions, he successfully helped all of Maryland’s state-chartered thrift institutions complete mergers, conversions and other transactions to enable their exit from the state-chartered system. Mr. Lovejoy’s representation of the Commissioner of Consumer Credit involved regulating the mortgage lending and brokerage industries, finance companies, credit reporting agencies, sales finance companies, credit repair businesses and collection agencies. He authored most of the current Maryland regulations applicable to Mortgage Lenders and Brokers. He has lectured extensively at Continuing Legal Education courses, industry seminars and consumer information seminars. He has been involved in curriculum development for high school instruction in the area of credit information and responsible use of credit. Mr. Lovejoy has participated at the national level in policy making initiatives in the mortgage area. He served on a HUD task force to address the regulation of Computerized Loan Origination (“CLO”) activities. He has been recognized as an expert witness with respect to so-called “predatory” lending. Since 1994, he has served on the Board of Directors of the nonprofit Consumer Credit Counseling Service of Maryland and Delaware, Inc.
Mr. Lovejoy received his Juris Doctorate with honors from the University of Maryland School of Law and his B.A. from the Johns Hopkins University.